Hello my friends! Just a couple days before Christmas and I actually had some time to relax and do some crafting today! Even though the Club Scrap Artist Team has ended I'm still a member and look forward to my kit delivery every month! I just got my Club Stamp A Night at the Met kit yesterday and couldn't wait to make some cards. I checked out the Club Scrap Forum and decided on a couple of challenges to join. 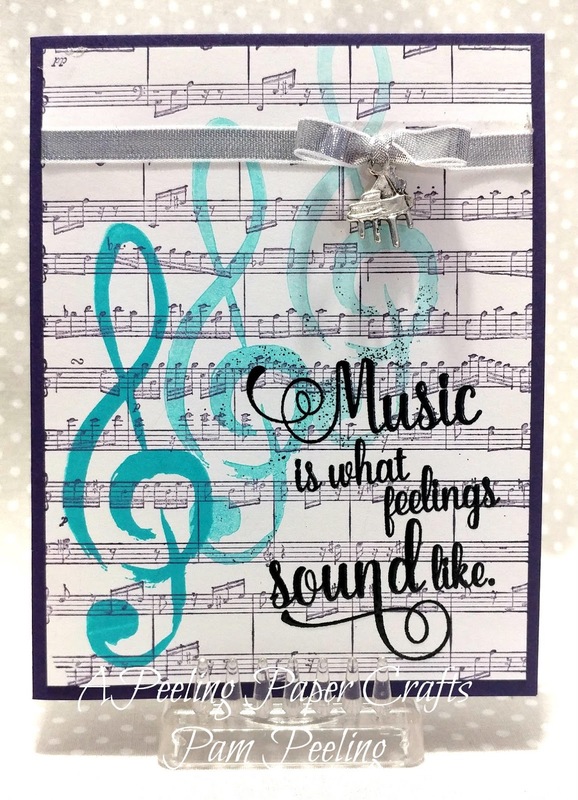 The 1st one I made cards for is the Technique challenge-Repeat Stamping. 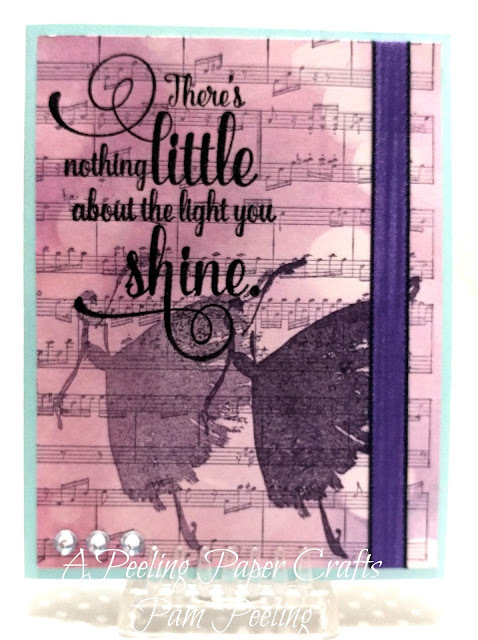 The background is a Stampin Up stamp I inked in Elegant Eggplant which matches A Night at the Met perfectly. I repeated the unmounted rubber stamped image without re-inking to give it that ombre look. I used black embossing powder on the unmounted rubber stamp sentiment and heated with a heat gun. I used the ribbon and the charms from the A Night the Met Club Stamp kit. 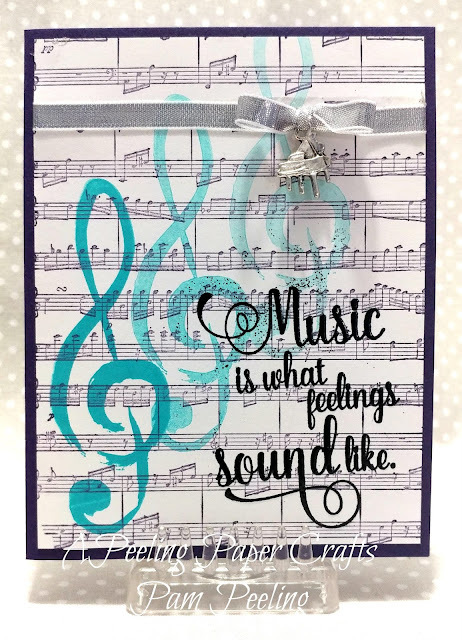 I stamped the sheet music image onto the printed paper with the collection and then repeat stamped the unmounted rubber stamped image. I just LOVE the font with this collection! I repeat stamped 2 images on this card! 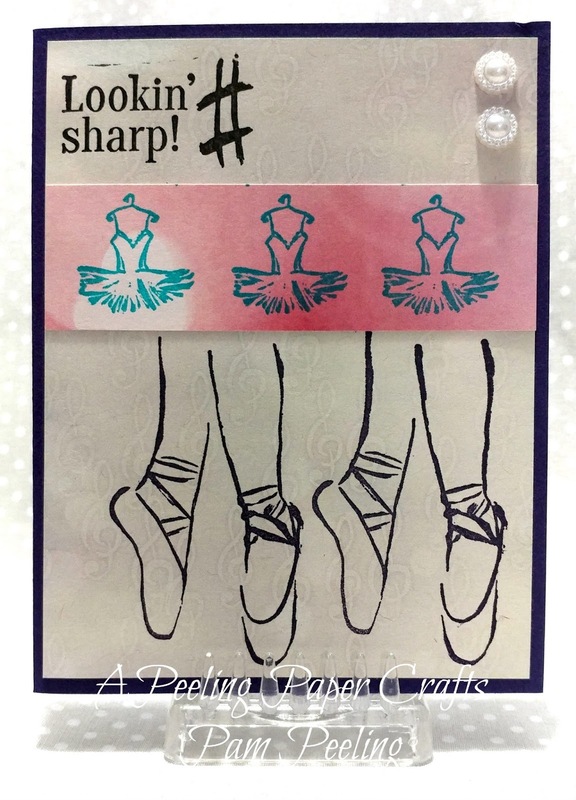 This card also works for the Idea Deck Challenge on the Club Scrap Forum. 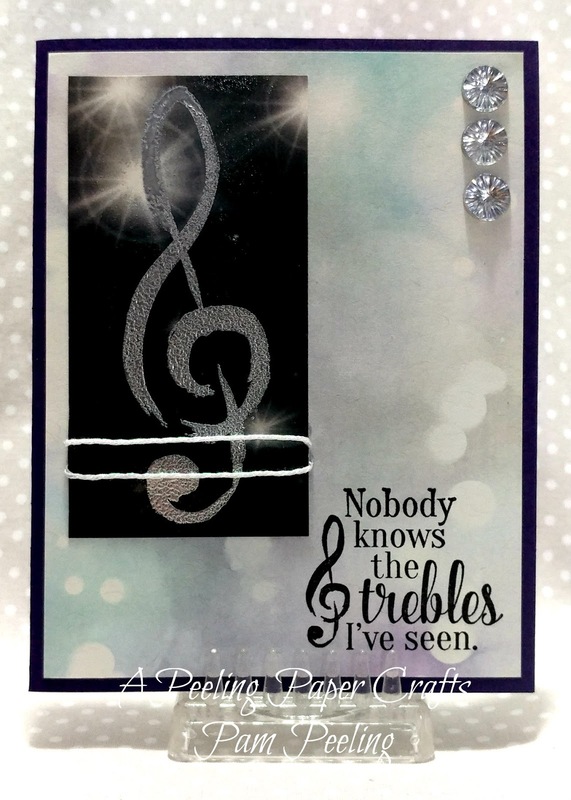 I made 2 cards for the Card Sketch challenge on the Club Scrap Forum. I used the silver paper with this collection for the 2 stripes-it's hard to photograph since it's so shiny. I embossed the large treble image with silver embossing powder. The background for this card is one of the quad prints with the Club Stamp kit. The sunburst embellishments are from the Sunflowers kit. Head on over to the Club Scrap Forum to see all the wonderful challenges and inspiration from other members! Such a pretty set of cards Pam!